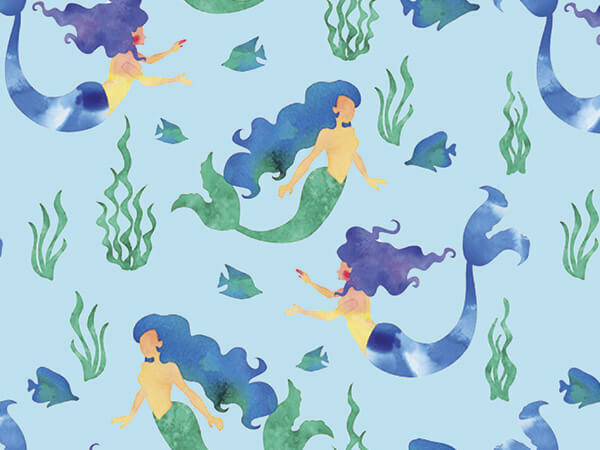 Magical mermaids swim under the sea with the fish on this 30" x 150' gift wrapping paper. The 30" x 150' everyday value wrapping paper rolls feature trendy and traditional designs! The heavy weight paper offers the quality you need to easily wrap and cover your products. All the value gift wrapping paper designs work well with 30" gift wrap cutters and dispensers. We have designs that are perfect for Valentine's Day with hearts; trendy designs in marble and mermaid patterns; rose gold solid and print options; wedding papers in brocade or polka dot designs; or holographic solids! You are sure to find the high end look you want for your gifts!